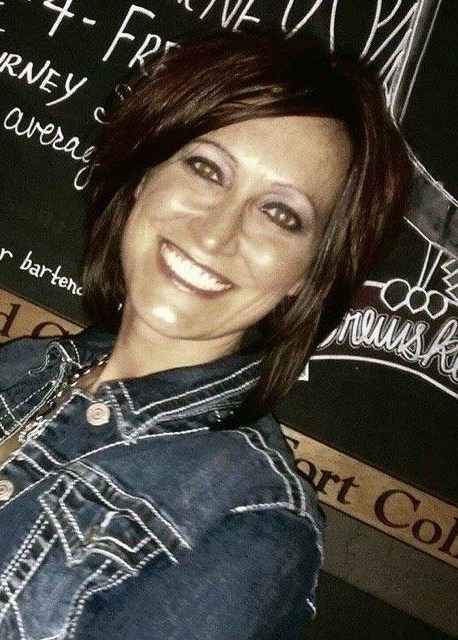 Andrea Lea O’Connor, 43, of Lawrence, died late Monday, January 15, 2018, from injuries sustained in a single-vehicle accident on the Kansas Turnpike in Douglas County. She was born March 3, 1974 in Parsons, Kansas to Larry L. and Marcia (Bellah) O’Connor. As a young girl, she attended Meadow View Grade School and later moved with her family to Eudora, Kansas. Andrea graduated from Lawrence High School in 1992. Following high school, she moved to Phoenix, Arizona where she worked at Earnhardt Ford many years before working as a Customer Service Representative at the Social Security Administration. In 2015, she returned to Lawrence, and was currently working as a Human Resources Assistant for Military Records at the U.S. Coast Guard in Topeka. Being a successful government worker was one of her proudest achievements in life, serving as a Journeyman for Social Security and working for the Coast Guard. She was a dedicated civil servant. Andrea also cared deeply for our military veterans, especially those with Posttraumatic Stress Disorder (PTSD). Andrea had a heart bigger than life. She cared more about others than she did herself. Andrea was always willing to help those in need, demonstrated a genuine enthusiasm for her family and friends, and loved pets, especially her Pit bull, Chewy. She was passionate about her Secret Santa campaign giving out sleeping bags to the homeless around the holidays and was comfortable with people from many walks of life. Andrea enjoyed camping, cooking, refurbishing old furniture including picture frames, and doing DIY projects. She was preceded in death by her mother, Marcia Houston; maternal grandparents, J.W. “Junior” and Lucille Bellah; and paternal grandparents, Leo and Leona O’Connor. Memorial services were held Friday, January 26, 2018 in Kansas. Burial will be in Mt. Olivet Cemetery in Parsons, KS. Another memorial service is being held in Mesa, AZ, at Bunker’s Garden Chapel, 33 N. Centennial Way, Mesa, AZ on Saturday, February 3rd at 11 am. In honor of the life of Andrea O’Connor, the family is requesting in lieu of flowers, donations be made in support of Sleeping Bag Santa. Andrea was very passionate about helping those forgotten, and Sleeping Bag Santa is the cornerstone of her legacy. Andrea dedicated hundreds of hours for many years during the holiday season giving back to humanity and collecting and delivering sleeping bags to the homeless in Phoenix, Arizona. Since moving back Lawrence, Andrea was dedicated to expanding this program and serving a new community. A go fund me page has been established where donations may be left, https://www.gofundme.com/andreas-legacysleeping-bag-santa. My deep condolences to the O’Connor family on the loss of your precious loved one. Death is not something that we look forward to or find it easy to accept. That’s why the Most High God has promised to end death Psalms 83:18 and Revelation 21:4 brings that out. But, He also promises to reunite our loved again in perfect health Acts 24:15 and He even says where Psalms 37:11 and for how long Psalms 37:29. I really hope that these few Scriptures are some comfort to you as it was to us when our precious daughter died and recently my beloved husband of 50 years fell asleep in death. The pain is indeed very real. If, you would like to talk, I’m here for you. Or, a site that can be helpful is jw.org It has helped me.